Last year, American sports brand Champion returned to the UK after 10 years with no distribution. Re-introducing its reverse weave fabric – a traditional technique for avoiding garment shrinkage – Champion collaborated with brands such as Stüssy, Wood Wood, Supreme, Vetements, and now the Japanese label Beams. 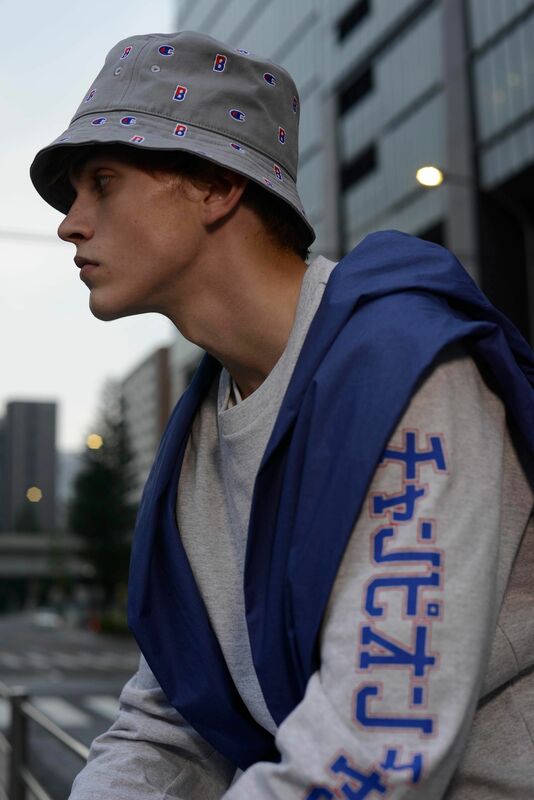 For Champion x Beams’ second collaboration, released for spring/summer 2017, reverse weave fabric is used on sweaters, T-shirts, tracksuit bottoms and jackets – detailed with Japanese characters and a multi-coloured Beams logo. 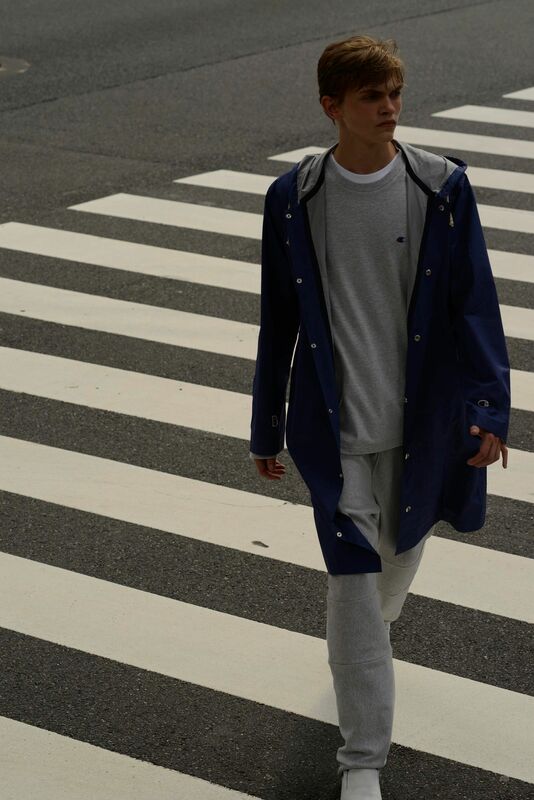 While one was founded in New York, the other in Tokyo, both Champion and Beams have made significant contributions as American lifestyle brands. The former, which started out manufacturing sturdy sweaters for sportsmen in 1912, went on to pioneer football jerseys, reversible T-shirts, nylon mesh uniforms and hooded sweatshirts. 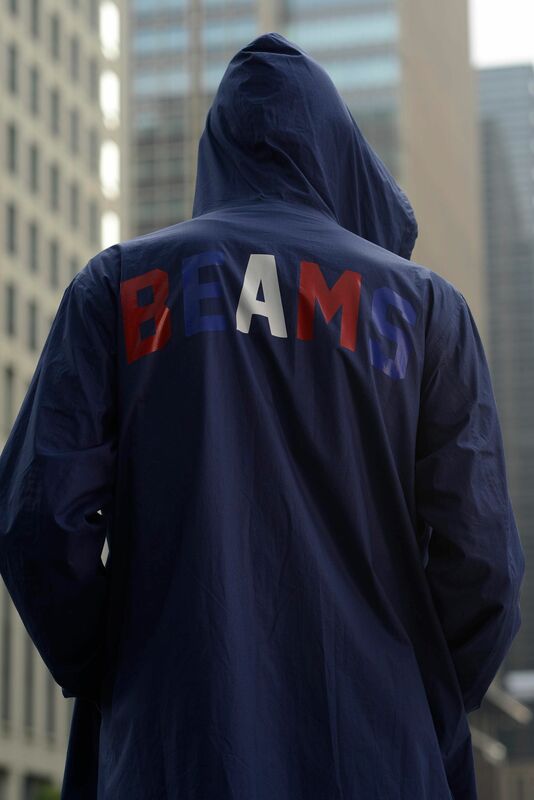 Beams, which began with a small store in Harajuku in 1976, was one of the first brands to reinterpret modern American clothing to a Japanese audience – preceding streetwear labels such as A Bathing Ape, Good Enough and Neighborhood. Its pairing with Champion couldn’t be more fitting.